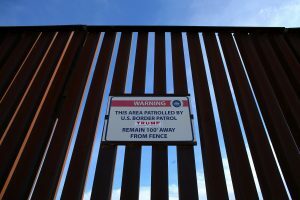 SAN DIEGO — U.S. Customs and Border Protection said Friday that it plans to start awarding contracts by mid-April for President Donald Trump’s proposed border wall with Mexico, signaling that he is aggressively pursuing plans to erect “a great wall” along the 2,000-mile border. The agency said it will request bids on or around March 6 and that companies would have to submit “concept papers” to design and build prototypes by March 10, according to FedBizOpps.gov, a website for federal contractors. The field of candidates will be narrowed by March 20, and finalists must submit offers with their proposed costs by March 24. The president told the Conservative Political Action Conference on Friday that construction will start “very soon” and is “way, way, way ahead of schedule.” It’s unclear how soon Congress would provide funding and how much. The Government Accountability Office estimates it would cost on average $6.5 million a mile for a fence to keep out people who try to enter on foot and $1.8 million a mile for vehicle barriers. There are currently 354 miles of pedestrian fencing and 300 miles of vehicle barriers, much of it built during President George W. Bush’s second term.